The 1959 Cadillac cars suffered in comparison to earlier cars. GM “panicked” upon seeing the fabulously low 1957 Chrysler lines, and implemented a program to reduce the height of all their cars. Since engineering work varied from division to division, it was decreed that the 1959 Buick would form the basis for much of the new Fisher bodies to be used by all GM divisions. The styling studios at Cadillac seemed to be the least constrained of all since a new style was planned for 1959 anyway. 1959 Cadillacs are well known for their massive fins, a direct response to the fins that appeared on 1957 Chrysler products. 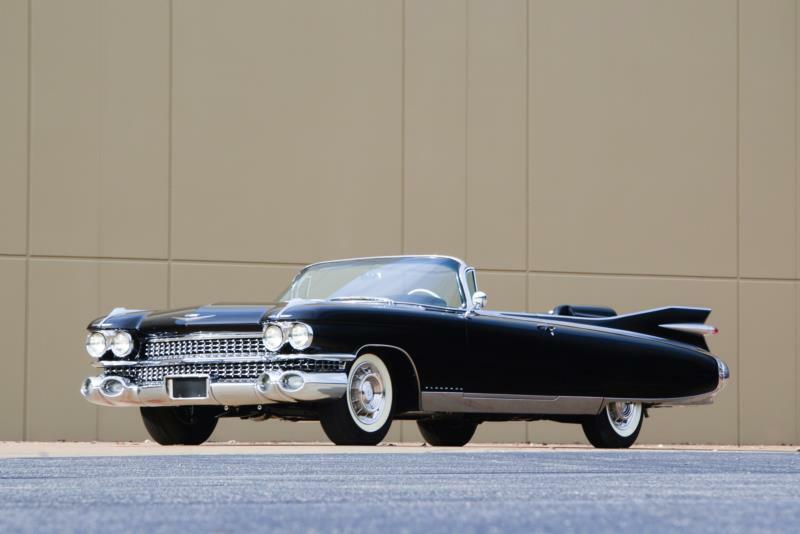 Since Cadillac originated the style in 1949, it was deemed necessary to win the “fin wars.” Despite sharing basic inner door pressings with Buicks and the rest of the GM lines, these Cadillacs were distinctive and massive. 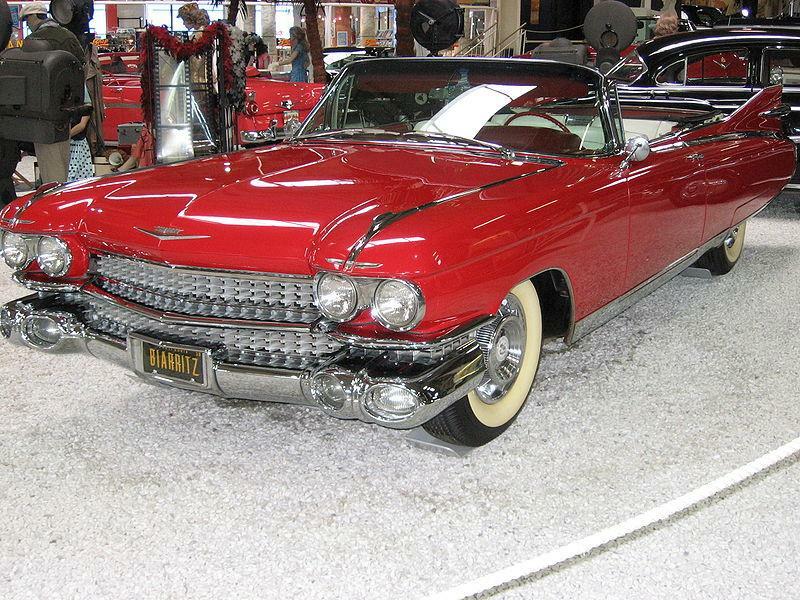 The big Caddy V-8 was stroked out to 390 cubic inches, with as much as 345 horsepower in the Eldorado line vs. 325 in others. Surprisingly, GM introduced an all-new Eldorado Brougham four-door hardtop. Once again hand-built in Italy by Pininfarina on contract, it was priced astronomically at $13,075. The car, styled in Detroit by Cadillac, sold in single digit numbers (99). 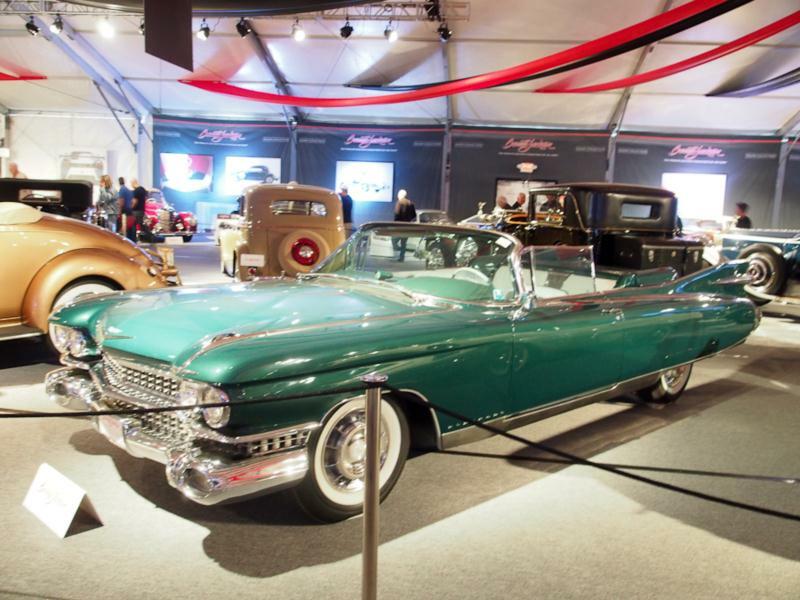 The Eldorado Seville coupe and Biarritz convertible each were sold at $7,401. Interestingly, the Brougham had far lower, unique tail fins. 1960 cars were broadly similar, with somewhat lower tailfins, and the Pininfarina-built Brougham sold 101 units. Many say the build quality of the Pininfarina cars wasn’t nearly as good as the previous Detroit built cars, but of course, any Eldorado Brougham is highly collectible. 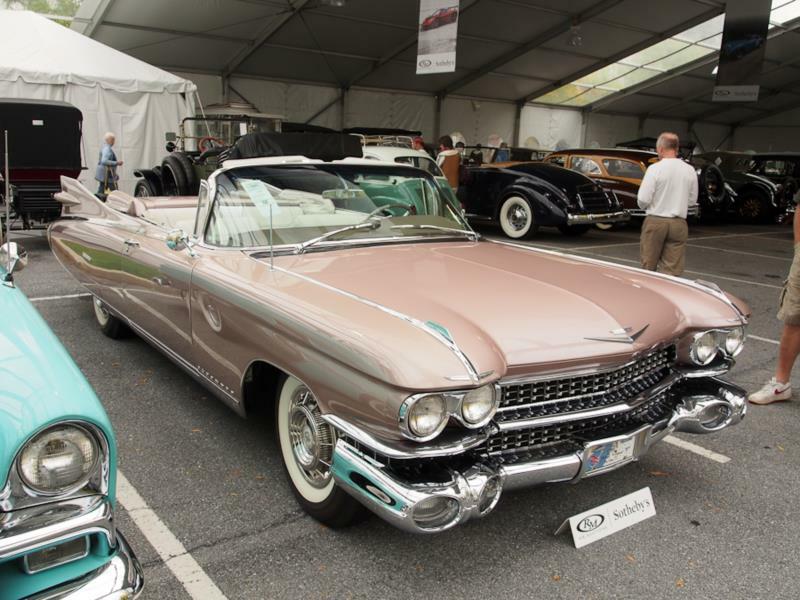 1961 cars were reskinned, and the Eldorado line was cut down to the Biarritz convertible starting that year. Body shells were common between all non-limousine Cadillacs, and the Eldorado simply became the name for the top-of-the-line convertible through 1966. For 1964, the exclusively Cadillac engine was punched out to 429 cubic inches, with a subsequent power increase to 340 horsepower. But torque was king, and torque meant accelerative force – which increased to 480 foot pounds, up 50 from the year before. The all-new Turbo-Hydramatic 400 automatic transmission also became available in 1964, a huge improvement over the old four-speed Hydramatic automatics used previously. The 1965 Cadillacs were entirely restyled with various technical improvements. 1966 was a carry-over year.